Mixologist Julio Vazquez Lopez from Mia Domenicca Restaurant in Mexico City showcases “Dragones Tropical”, a signature craft cocktail made with Casa Dragones Blanco and coconut water. 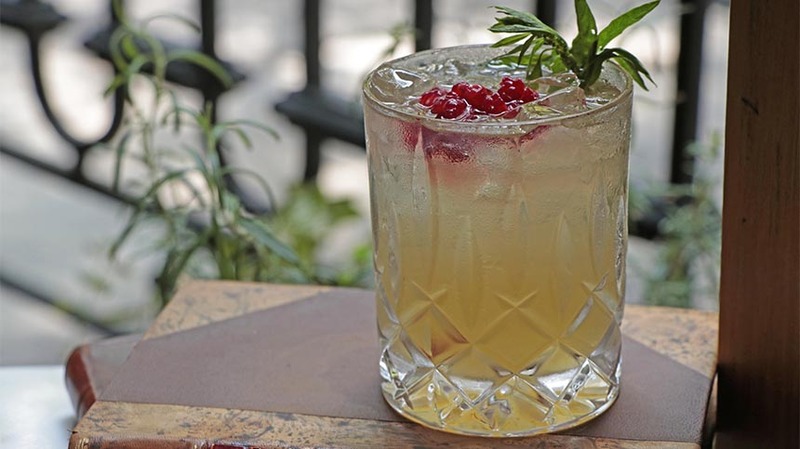 The epazote and lime-based cocktail highlights Dragones Blanco’s herbaceous qualities. The addition of berries and sugar completes the cocktail’s sweet and sour taste. Top with coconut water and serve on the rocks for a refreshing finish. Macerate the epazote leaves with the sugar and fresh lime juice. Add ingredients and ice to a Boston glass and shake all ingredients. Double-strain and serve in an Old Fashioned glass. Garnish with an epazote twig and raspberries. Calle de Durango 279, Roma Nte.